We all know the British weather is not the most reliable at times, which is one of the reasons why more and more people are choosing to tie the knot abroad. Just a short flight from the UK, Italy has become a popular wedding destination in recent years. 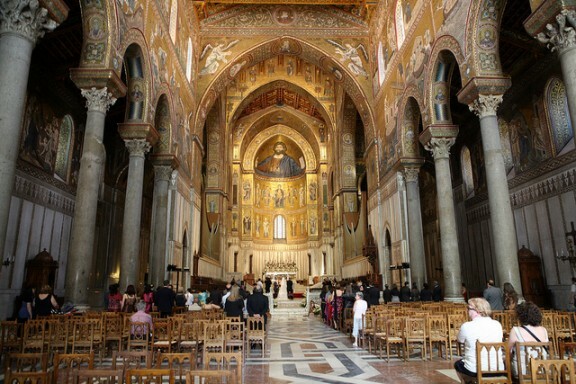 Sicily is a great choice if you’d like to tie the knot in true style offering everything from beautiful hillside resorts, historic castles and incredible beach venues. Whether you’re after a large do, or an intimate ceremony, there are plenty of venues to choose from. Celeb Wedding: Kim Kardashian and Kanye West got married at a 16th century fort in Florence, Italy earlier this year, reportedly costing over $100,000. With endless miles of white sandy beaches, it’s easy to see why couples would want tie the knot barefoot by the sea. The small island of Cozumel, opposite Playa del Carmen is our favourite spot in the country, so if you want your wedding photos to be filled with sand, palm trees and crystal clear waters, this is the place for you. Celeb Wedding: British singer Seal and supermodel Heidi Klum got married in Mexico in 2005. They may be separated now, but don’t let that put you off! 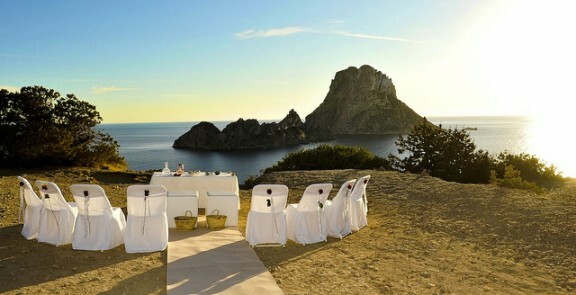 Spain is a wedding hotspot for loved-up British couples and its close proximately to the UK means friends and family should find it easy to make the trip over. The Balearics are a popular choice for beach weddings. 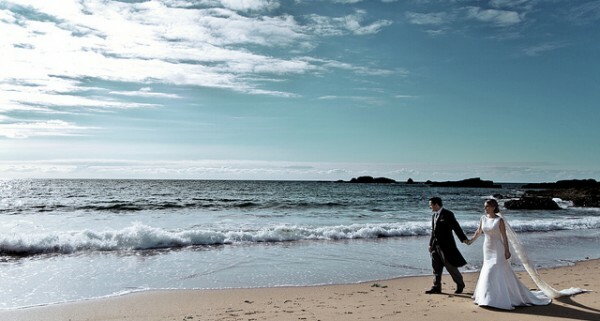 What could be more romantic than walking down the aisle whilst the waves gently lap against the shore? Celeb Wedding: Former Atomic Kitten singer and ‘Snog Marry Avoid’ presenter Jenny Frost got married to her Spanish partner in Ibiza in 2011. As the home of Aphrodite, the Goddess of Love, it’s little wonder more and more people are choosing to walk down the aisle here. 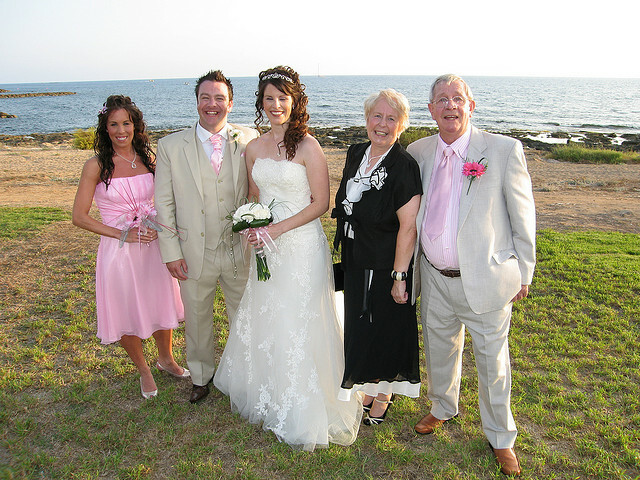 For a romantic wedding abroad, Cyprus is the perfect destination. The island’s white-washed churches are the perfect setting for a wedding ceremony before a unforgettable reception on the beach. Celeb Wedding: Not content with just one wedding, Peter Andre is planning to marry his current fiancée in both England and Cyprus, so he can have a traditional Greek style wedding too. Keep up-to-date with fantastic giveaways, amazing deals and the latest travel stories on Twitter and Facebook. 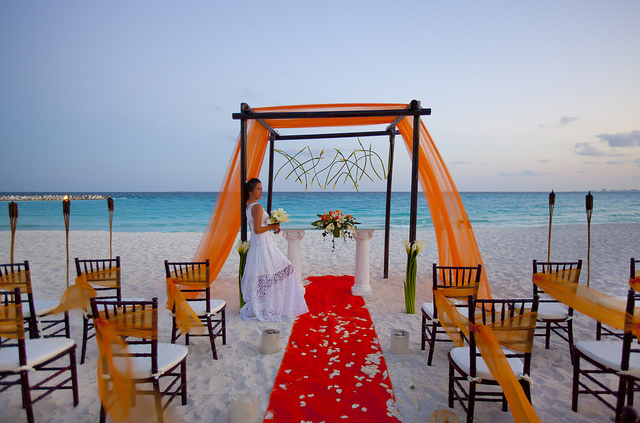 Would you like to get married abroad? What would be your dream destination? Images: Flavio Lorenzo Sanchez, askii, Krystal Hotels, Solobodas 025 & Aunt Agatha via Flickr.